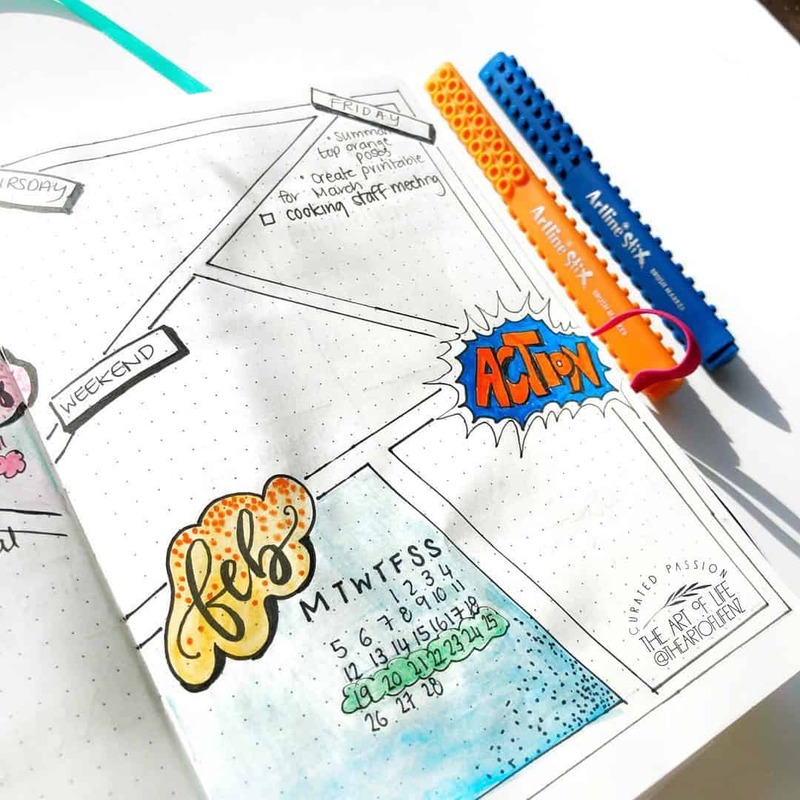 7 Comic Book Bullet Journal Weekly Spread Ideas You'll Want to Try! 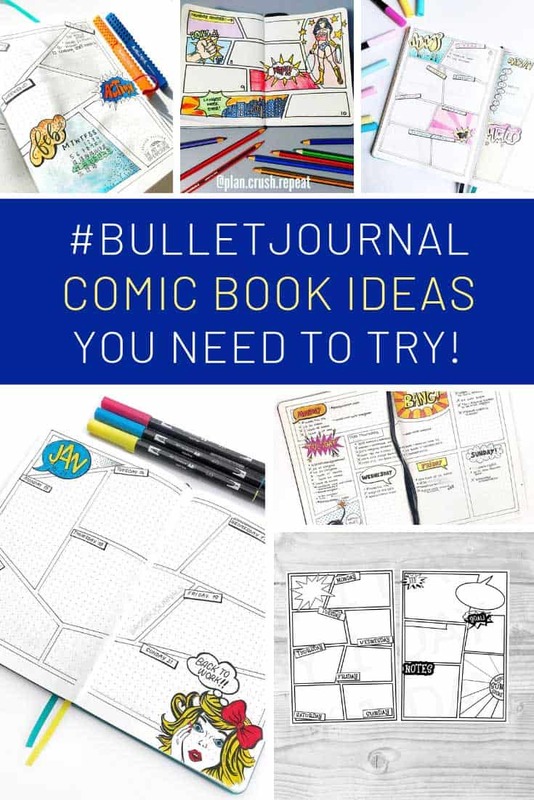 Home > Bullet Journal > Bullet Journal Weekly Spread Ideas > 7 Comic Book Bullet Journal Weekly Spread Ideas You’ll Want to Try! 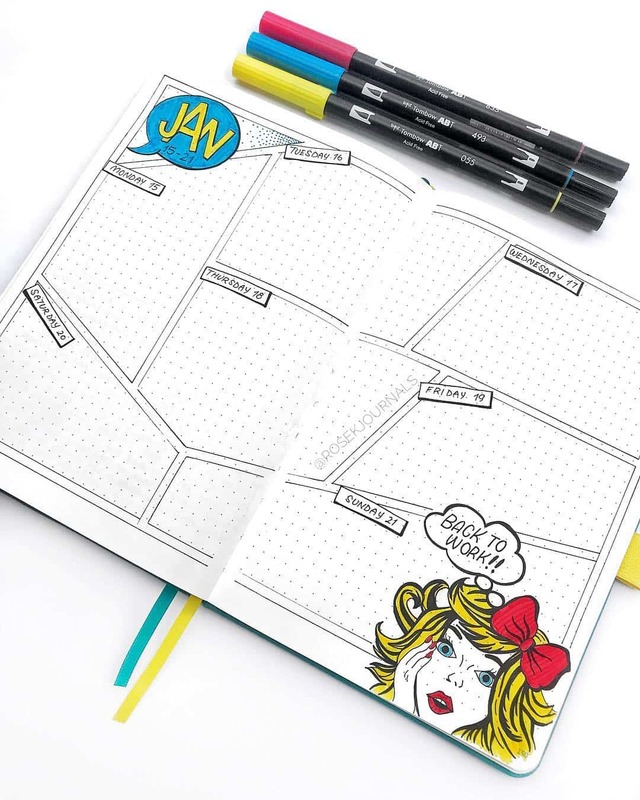 If you love comic books you’ll want to test out some of these weekly spread ideas in your bullet journal! 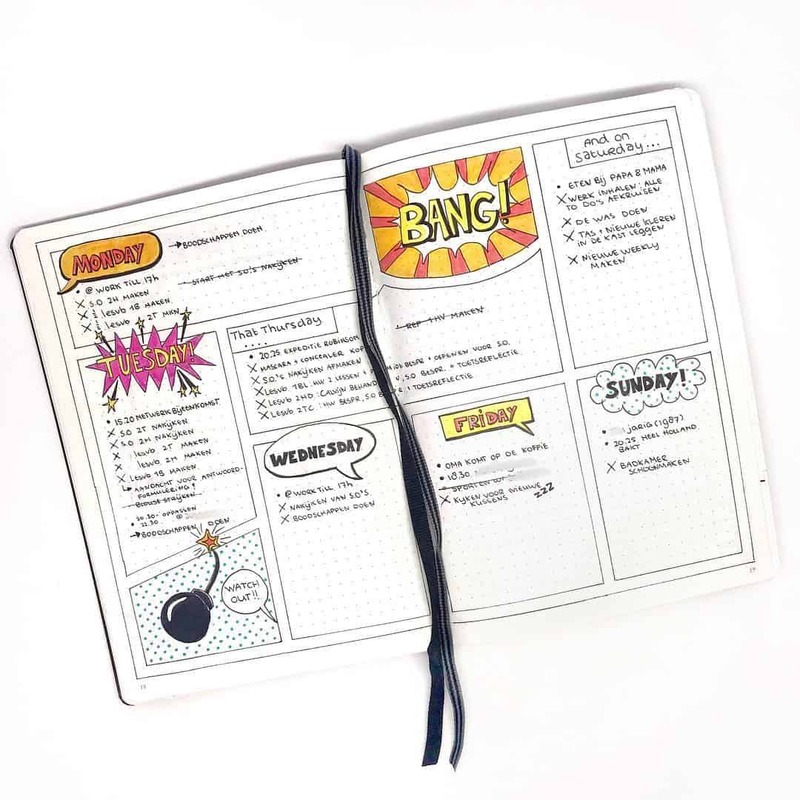 If you’ve got a tough week ahead why not bring your inner superhero to the party with these fabulous comic book bullet journal weekly spread ideas! 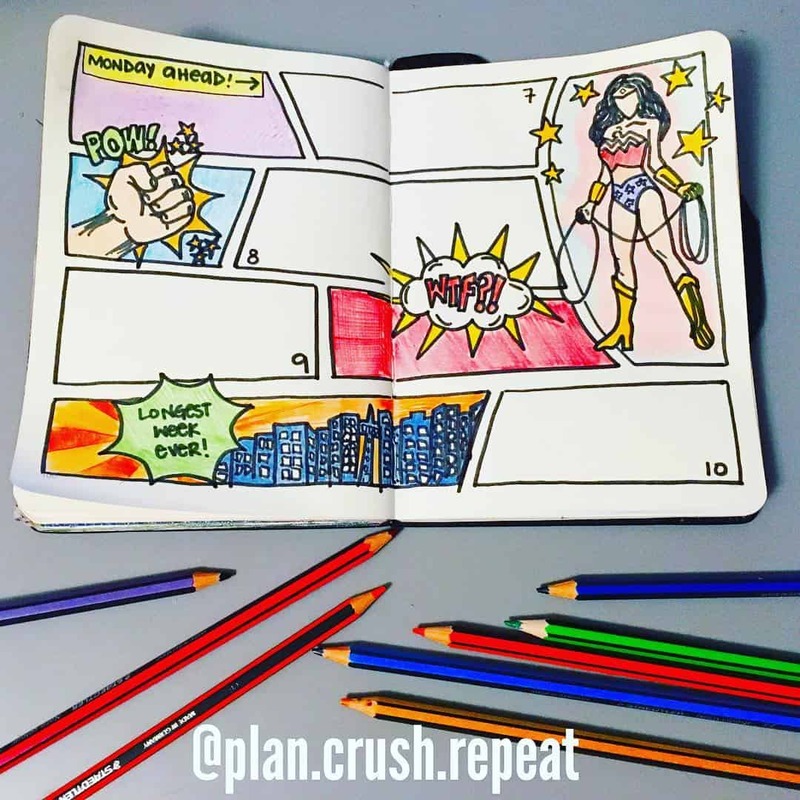 If you’re expecting a busy week ahead it’s time to channel your inner Wonder Woman to get the job done! 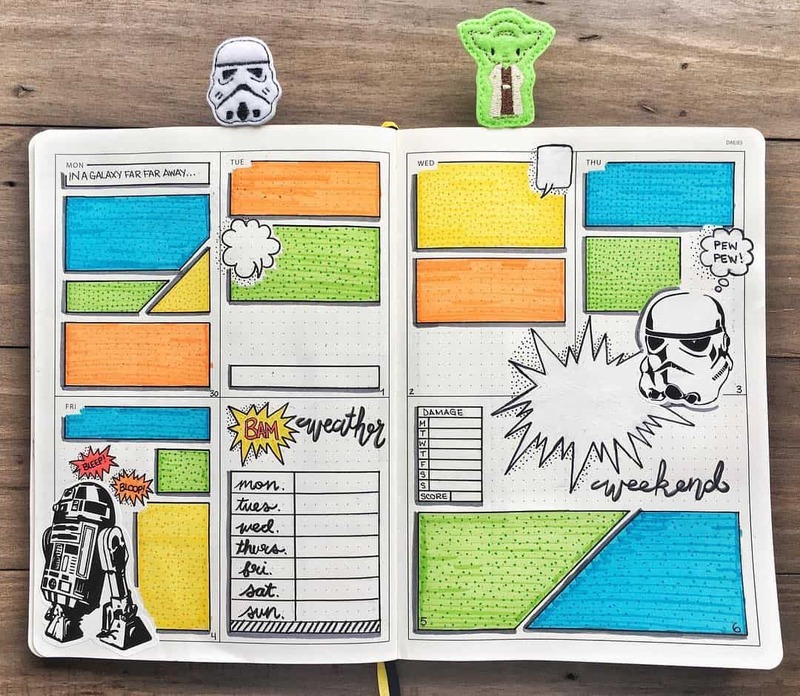 If Star Wars is more your thing tr< a> to a colorful weekly spread. If one of your goals this year is to get creative with your hand lettering you totally need to try a comic book style! 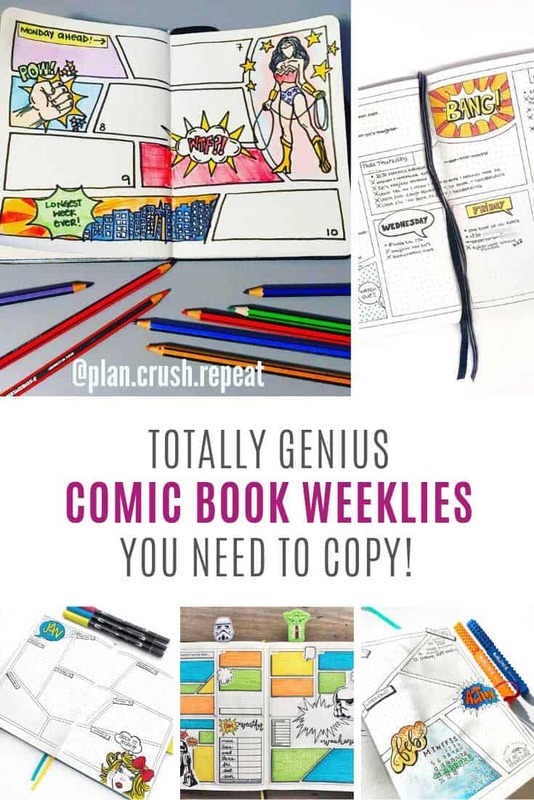 When I shared the collection of pastel bullet journal ideas y’all loved them so when I saw this retro comic book weekly spread with it’s pretty pastels I knew I had to share it with you! I love this layout because the headings have been comic book styled. 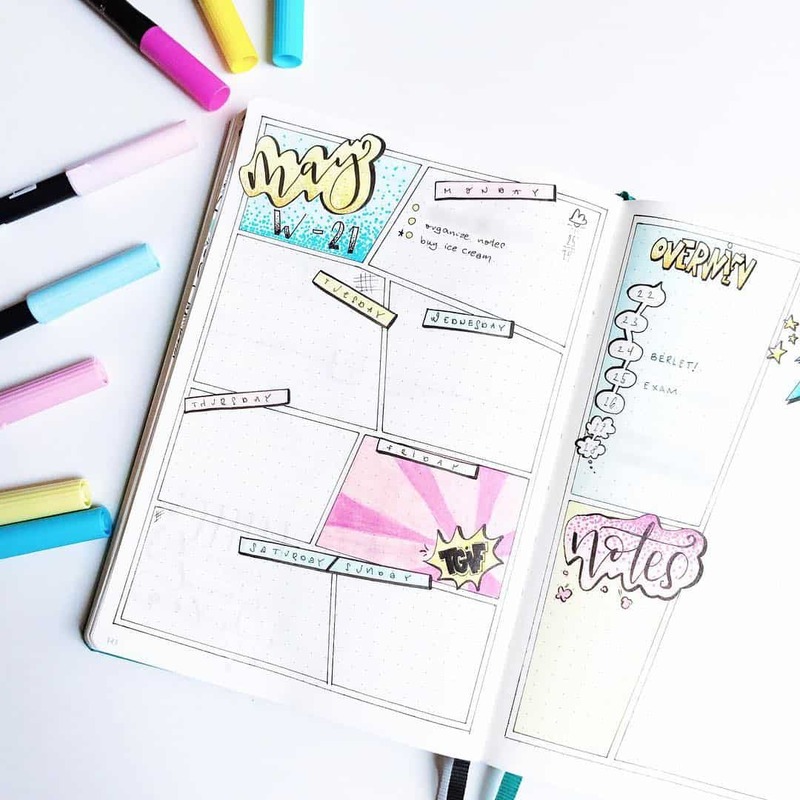 And it’s a good example to show your days don’t have to come in order if you want to make the use of space on the page! Love this vintage spread with its fifties feel. Especially the girl in the corner proclaiming that it’s time to go back to work! 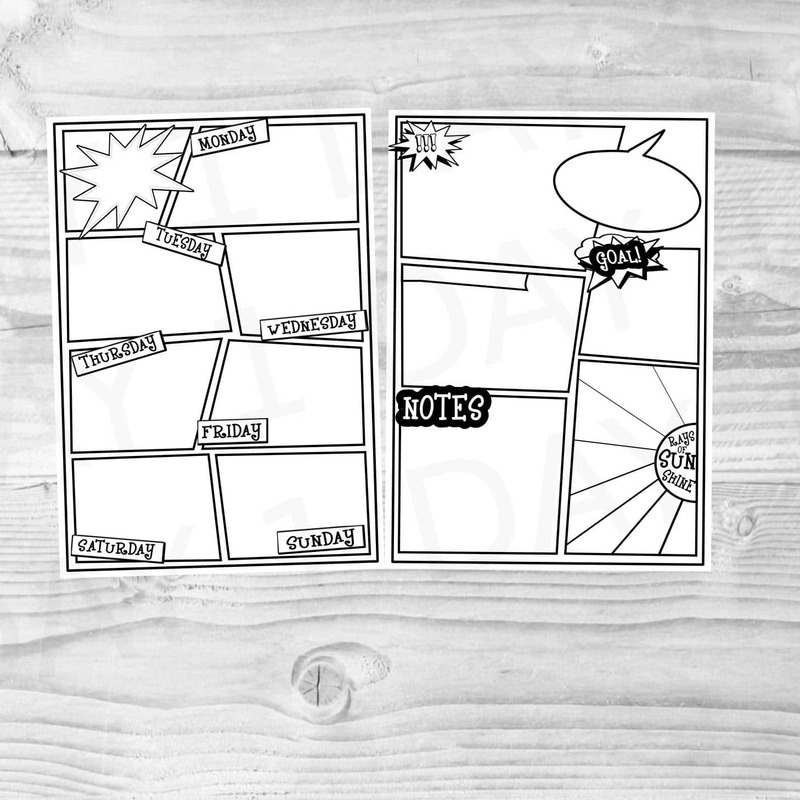 If you really want a comic book feel to your weekly spread but don’t have the time or confidence to draw it out yourself then you can use a printable like this one!